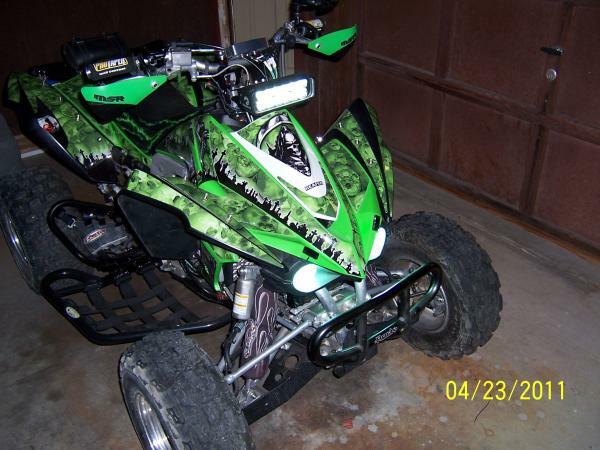 Fellas, just picked up an '08 KFX but the muffler cracked and I need to replace it. 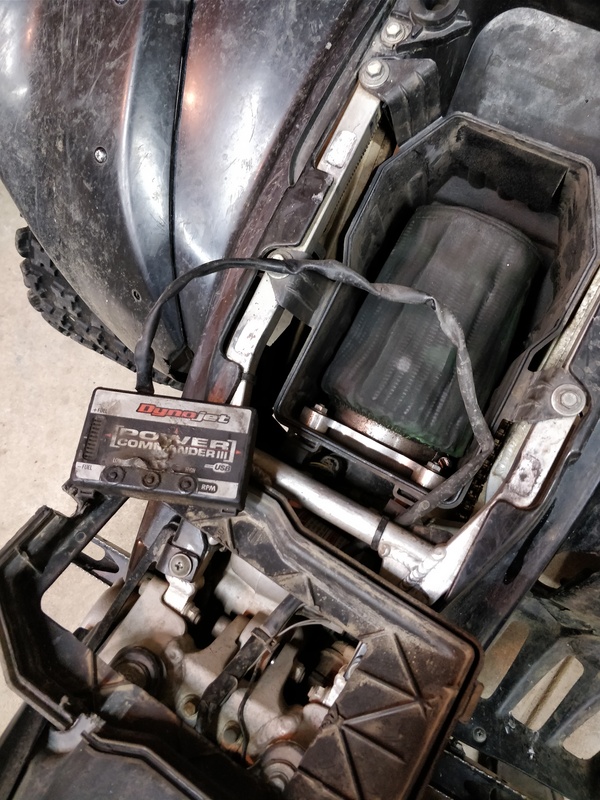 It appears to be a full Two Brothers exhaust, has a paper filter and I see a Power Commander 3 controller. I don't know if anything else was done internally. What I need help with is replacing the muffler, I know nothing about the commander. I found a used Lexx muffler with a wrapped OEM header. Does anyone know if I could just slap the Lexx muffler onto the 2bros header and call it a day? A Full exhaust system are not interchangeable with other exhaust brands, Due to the Pipes diameter & bends...So NO...! The Lexx muffler is a slip-on designed for the OEM Header...!! If I go with option 1, would I need to reprogram Power Commander? 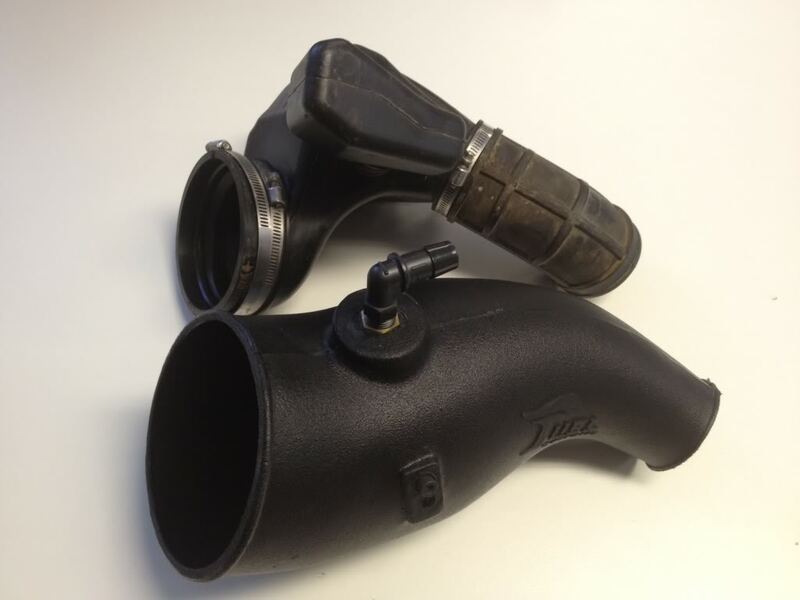 What air intake tube is on your quad...OEM or after market...?? Last edited by Dust Devil; 04-21-2018 at 08:57 PM. 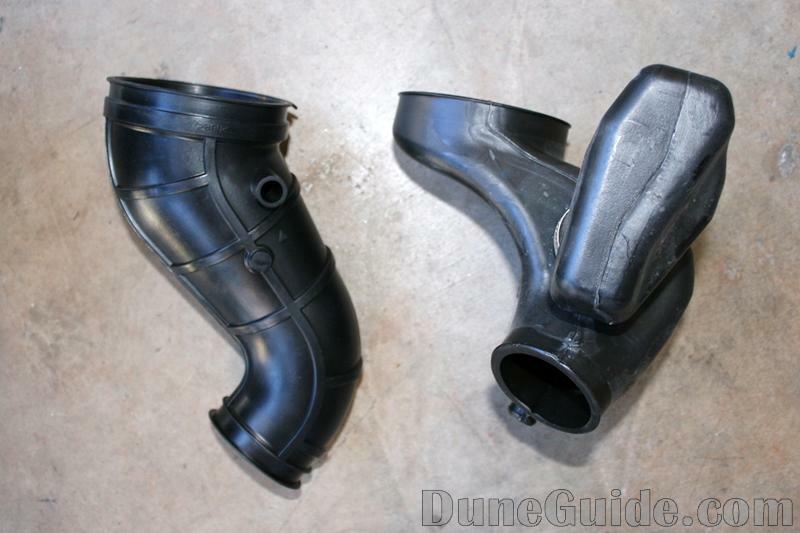 In the first picture, the stock intake is on the right, correct? That's the one that is on there. I noticed there is a Pro Designs metal flange in the airbox where the K&N filter attaches too. Everything else seems stock. I didn't realize you had a Full Two Brothers exhaust in your other thread, so disregard the information I posted earlier. Do not spend an extra 300 to repair your two brother system when you can get a better exhaust for 130 more, and avoid option one unless performance isn't a concern. You may or may not need a new fuel map, and no one will know until the new setup is tested.